Dr. Ted Wyman brings a wealth of medical experience with a focus on general practice and occupational medicine. As a former Medical Director, Medical Review Officer, X-ray Operations Supervisor for various groups Dr. Wyman has shown great leadership in providing patient-centered care. Dr. Wyman graduated Medical School from Loma Linda University School of Medicine followed by time at the University of Southern California. He places an emphasis on providing comprehensive care. His ability to understand patient needs and provide counseling and medical procedural skills to meet those needs is highly appreciated by patients and staff. Dr. Burton Wang brings exceptional training, experience, and a committed mission to provide comprehensive quality care; physical, mental, and spiritual. His interests include Family Medicine & Geriatric Medicine, and a strong interest in Sports Medicine, Pediatrics and procedures. Patients and staff appreciate his knowledge, emphasis on quality care, and compassion. 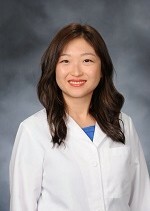 Dr. Candice Lee-Wang utilizes her exceptional training and passion to provide her patients full spectrum Family Medicine, including W omens Health, Obstetrics/Prenatal Care, Geriatric Medicine, Pediatrics and procedures. Her calling as a Physician is to serve and make a difference in her community (The San Gorgonio Pass). Her skills and expertise along with an emphasis on preventive medicine provide her patients with a strong foundation for health. 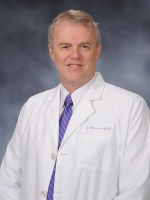 Dr. Lloyd has been serving the community of Banning for the past 19 years, the first 3 years with Mountain View Medical Group, and the past 16 years with Rancho Paseo Medical Group. As Doctor and Director, Dr. Lloyd actively promotes the mission of Rancho Paseo Medical Group to provide whole patient care and recognizes the staff as the most important component in providing quality care. 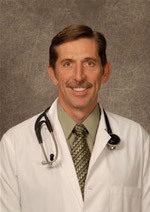 In addition to general practice, Dr. Lloyd has considerable experience including 20 years as an Emergency Room Physician, former Director of Lloyd Emergency Medical Group, and former Chief of Emergency Medicine at Loma Linda University Medical Center (LLUMC). In each area he has focused on high quality and has received recognition from his patients and peers. Dr. Lloyd completed his medical education with a Fifth Pathway Internship at Loma Linda University and Residency Training at LLUMC. He holds licenses in California and three other states and memberships in several medical societies. With a focus on physical, mental, and spiritual health Rancho Paseo has a goal to increase on-site service that will provide more convenience resulting in better compliance and overall patient health. As Practice Administrator, Mr. Nelson brings a wealth of experience and expertise to RPMG. With experience leading large single & multi-specialty groups, practice management teams, and independent practices Mr. Nelson has worked with all sizes of practices and understands the complexities involved in healthcare operations. He obtained a Master of Business Administration in addition to a Bachelor of Science in Management & Human Resources. 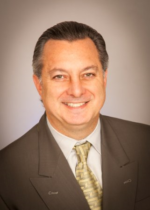 His Professional Affiliations include: Medical Group Management Association (MGMA), California Medical Group Management Association (CAMGMA), Los Angeles Medical Group Management Association (LAMGMA), & Orange County Medical Group Association (OCMGMA). Publications include: Medical Group Management Association, Co-Author “Body of Knowledge: 2nd Edition”. Physicians Beaumont, CA . Physicians Banning, CA . Doctors Beaumont, CA . Doctors Banning, CA . – It is a pleasure to serve the San Gorgonio Pass with total Family Care.